Sometimes my work is dirty and dusty. Sometimes I wear gloves and a mask to work to help protect me from whatever elements I'm in that day. Other times, I'm fortunate to work in immaculate spaces that still have a couple corners of disorganization to tackle. Most of the time I caution my clients from purchasing products before we get started. Chances are we won't need many or any new products. As we reorganize and declutter, we may very well end up with empty containers from how the space was set up before. 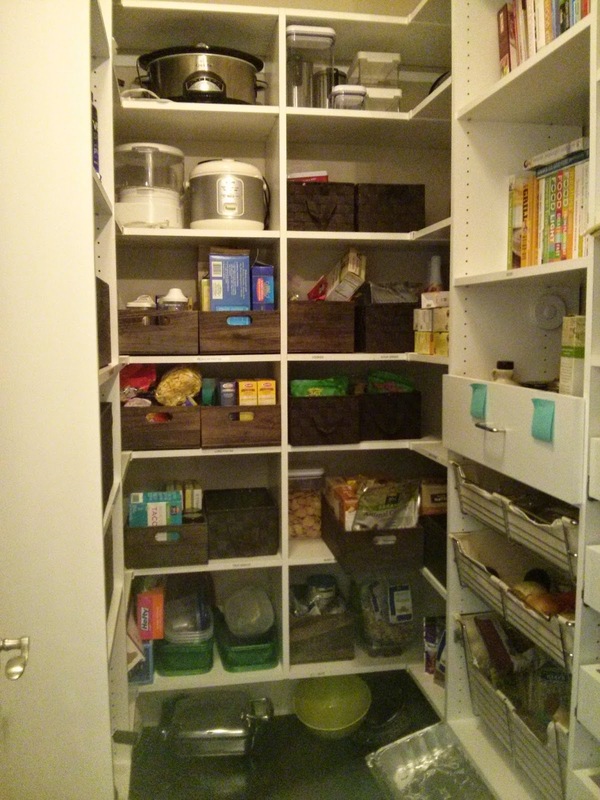 Recently, I was helping to better organize a great walk-in pantry. The pantry itself had plenty of room to hold to the food and other kitchen items we hoped it would. Although the home owner had previously used beautiful wood bins to contain some categories on shelves, she was still frustrated that it felt cluttered and messy. This is a great exercise in 1) how we all have different definitions of 'organized,' and 2) why we work better in spaces that are pleasing to the eye. 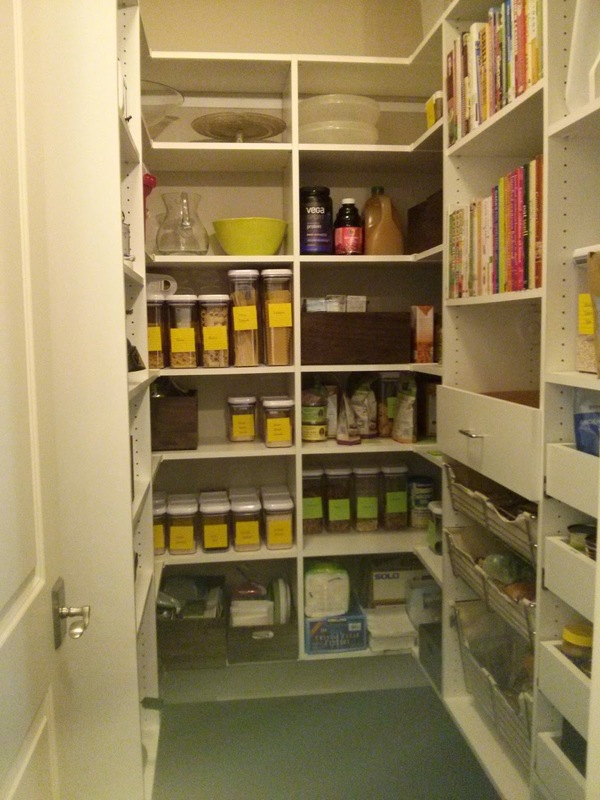 When I first looked in the pantry during our consultation, I agreed with my client that it looked pretty good. Like items were near each other or in bins, and shelves were labeled. But, as we worked through the house, we realized that it felt a bit haphazard in there to the many sets of hands that reached in on a daily basis. It was time to reassess. By creating a space that was more streamlined, we created a look that had a lot less going on. Visually, the clutter was cut down. We took most items out of bins and placed them into matching, clear containers. Matching labels would identify contents. One of the few times that taking things out of bins created more room! Not only did this end up creating more shelf space, but we left the pantry looking almost magazine worthy! The whole family could easily see what items were in stock, what was running low and where to find it. No more bulky bins the kids would find unwieldy. Now, there was a sense of calm - even in the pantry!